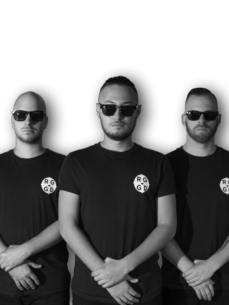 RGGD, one of the fastest growing DJ collectives from The Netherlands, existing of three hard working men. They share the motivation and ambition to be bigger, better and to push all existing boundaries. This made them already perform on stages like: Extrema Outdoor, Solar Festival, Red Bull Red Monday XXL, Matrixx At The Park, Meet The Streets, Red Cup Fissa, Salsa Breeze, Soixante Neuf, When Summer Ends, Offcourse, Holi Fusion Festival, R&B Sunday Outdoor and many more!